A service for Riscure tools customers that ensures reliability and accuracy of your testing process, with extended warranty for Riscure products. Setups for side channel analysis or fault injection can become complicated quickly in a way that multiple devices need to be part of a setup to achieve the result that you are aiming for. 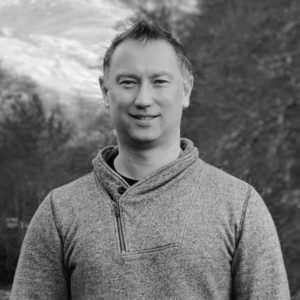 In order to make sure that results are accurate checking if the devices that you use in a setup are operational within the specifications that you expect is essential but can be cumbersome and time-consuming. To address this we have created a service that includes a tool that makes your life easy and will not withhold you from verifying your devices before using them in a setup. An important part of the service is the calibration tool. 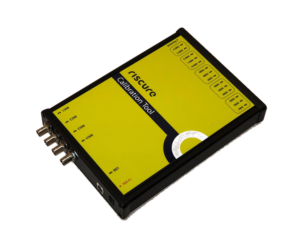 This is an easy to use device that has one purpose: check Riscure devices that you use in a setup with regard to their specifications and expected behavior. The calibration tool is easy to connect to your Riscure device like Spider, Power Tracer of EM-FI transient probe and after a few clicks in Riscure Inspector the tests will run and will give you a verdict within a few minutes and you can be sure that your setup works as expected. When a problem is discovered, you can as a part of the service, send the device back to Riscure and we will repair or replace the device for a new one. A dedicated calibration tool that enables you to check if your Riscure devices operate within specifications. Extension boards included to make testing easy and straightforward. Detailed reporting that give an overview on checks and verdicts. Reports that can be used for ISO audit trails. Support for Spider, Power Tracer 4, icWaves 3, EM-FI transient probe, Current probe, Glitch Amplifier and High Power Glitch Amplifier. Extended warranty up to 5 years for Riscure devices.